Chas delivers an exceptional lesson experience and ranks in the top 15% of our teachers nationwide. 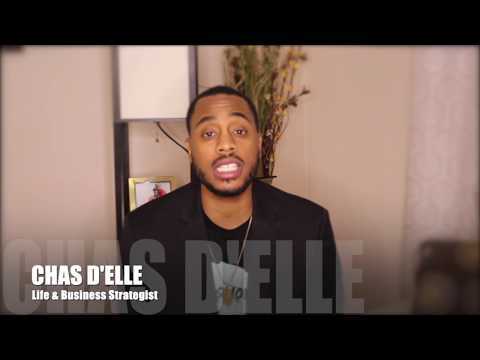 Chas D'elle, also known as Chas Money, is an influencer, investor and director. Chas is best known as a co-founder of I A.M. Music Group along with "Young Sir ". Currently, Chas hosts and directs RapAboutTV. With years of experience as a professional manager/videographer/mentor, host, and producer, with a Bachelor of Science degree in Communications, Media Management, his passion has been helping people to CHALLENGE themselves and take their lives to another level - no matter how successful they already are - in the areas that matter most: their business, personal relationships, families, careers, and health. He is an expert in helping creatives create a stronger connection with their passion. Seeing the parallels, he now transfers that unique and powerful gift to the business world and the online space helping entrepreneurs step up and stand out as the expert in their industry. Although my primary revenue is from partnerships with companies like F.A.C.E. The Agency, ACS Home Investors, Byrd's Paradise, UP Sports, Ustle and Honoré, I and my team of experts knew that we could bridge the gap by creating another unique offering for those looking to get involved. That’s why we’re announcing Do4Self program, premium consulting service focused on helping individuals unlock meaningful growth and scale your gift. You will gain access to everything you need from me without taking any equity position in your business. We begin the collaboration with an in-person or on-call strategy session, where you and I will dissect and discuss your life and/or business objectives, strengths, weaknesses, and potential strategy or business model improvements to succeed. Within the Do4Self program, we’ll select an exclusive group of businesses and brands to invest our experience and network to unlock meaningful growth in the businesses we most believe in. The Do4Self program offers the following 3 stages of service. Sharpen your business model and strategy. Identify potential growth hacks. Focus your brand activities on what matters.